At Forsyth Academy we create endless opportunities for your child to become their best. We inspire our students to excel academically and think creatively to reach their full potential. Our dedicated teachers help children apply critical thinking skills to solve real-world problems. Our moral focus program motivates children to be better people. As a result, children are prepared to tackle 21st century challenges and excel in high-school, college, and beyond. At Forsyth we create endless opportunities for your child to become their best. Speak Spanish? ¡Nuestro sitio está traducido! 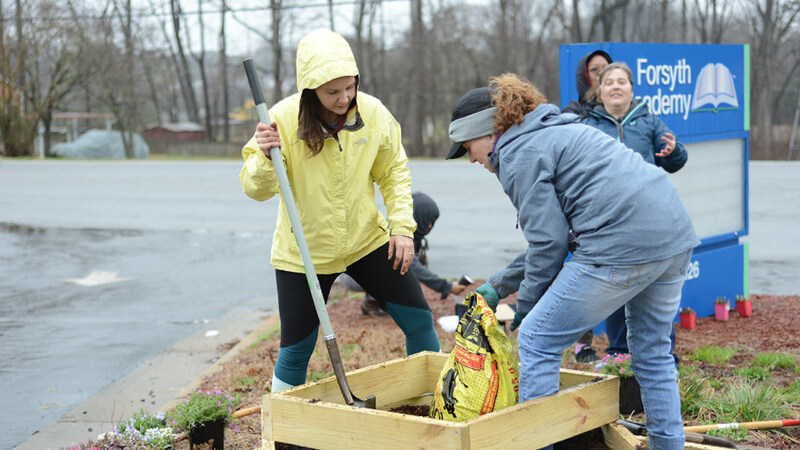 North Carolina's NHA admissions representatives spent a day in the rain doing gardening projects at Forsyth Academy to spruce up the school grounds for spring. Are you seeking a "private" school education with the no-cost benefit of a public school? If so, you're in the right place. Forsyth Academy is a tuition-free public charter school open to all children who live in North Carolina. 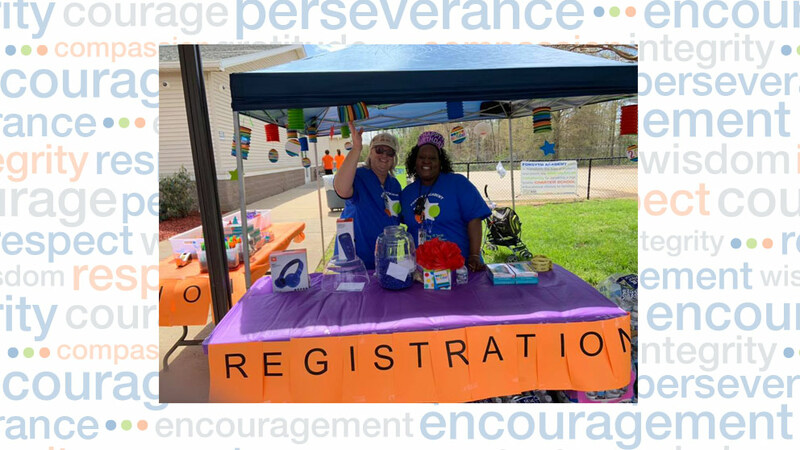 Forsyth Academy, established in 1999, recently celebrated 20 years by holding a community event for families and had a visit from Mayor Allen Joines.